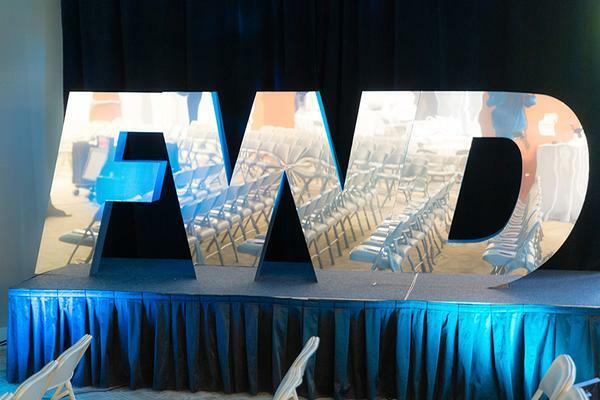 We are ecstatic and grateful to announce that SYNCRO has been selected among 15 innovative real estate technology companies to pitch at real estate giant Realogy’s FWD Innovation Summit for emerging real estate tech in San Francisco on June 23, 2015. We can’t wait to demonstrate SYNCRO to a captive audience of real estate professionals at this caliber and receive feedback to make our chat to SMS technology even better for agents, brokers and banners. We’re looking forward to meeting our colleagues and fellow innovators in San Francisco and seeing what’s new in REtech. See you very soon San Francisco! It’s funny how the most important part of a website, how one contacts you to do business, is often the most overlooked. For good reason. We fret over custom graphics and branded colors and compelling verbiage and we push the limits on design, yet forms get lost in the mix. They’re kind of like a protected habitat that as customers we don’t feel we have the right to challenge developers on. After all, everyone’s forms look pretty much the same, so why should yours be any different? Website contact forms are a standardized part of how we do business online, and like all things traditional you generally don’t fix them if they aren’t broke. But, this is where the problem lies. Contact forms are broken. 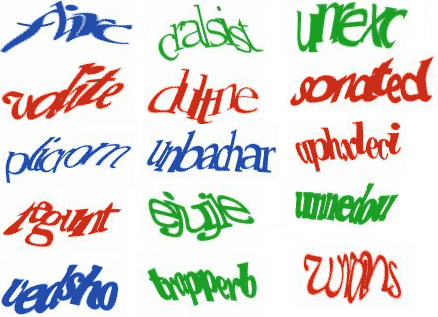 Not only are customers increasingly leery of filling out masses of information, but forms themselves have been so neglected and void of innovation that they are simply in existence on almost all websites as a filler. Toooooo Many! Forms are typically abandoned due to the sheer volume of fields. Have you ever wanted to ask a simple question and scratched your head because someone is asking you for way too much personal information? When did it become necessary to know, budget, income and marital status to ask if a home is near accessible public transportation? Forms that have required fields other than first name and phone OR email are simply too long. What happens in Vegas stays in Vegas But what happens when you fill out a contact form could affect your Inbox and SPAM folder forever! Had a better job been done to protect consumers from SPAM we might be in a different place with forms, but unfortunately too many didn’t protect their data and even more found it lucrative to sell it. This has left a number of customers reluctant to hand over every piece of personal information before they even have a chance to speak with you face to face and develop a small amount of confidence that they are dealing with a reputable professional on the other end. No contact Have you ever filled out a form and then waited. Days. Weeks? Did you know that after years of working with web developers and really reputable website companies that sometimes, (lots of times too many to count) we would find out that the website contact form on some sites was never tested? Yep. That means that some clients would go days, weeks and even over a year and would wonder why they weren’t getting leads. Only to find out that no one ever tested where their form was going after the website went live. Humans. They make mistakes. Mistakes that could cost you tens of thousands in commissionable sales! We’ve seen it all from, forms not working in different browsers, forms sending to the wrong email account, broken forms, changed email addresses, you name it – we’ve seen it happen and it hurts your business. Tooo many! Forms are dead. Website Chat Having website chat is huge for your business and conversions. Whether you choose something as innovative as SYCNRO website chat to SMS or you go with a standard PC to PC chat you need to have it. Chat solves the issues that brands are plagued with on how to do business more effectively and efficiently. Chat increases sales, boosts consumer confidence and decreases your closing time majorly. If you don’t have chat, you need to have it. Kill the Snails. Make your contact form intelligent. Nothing against snails, but they’re not good for business that needs to happen fast. SYNCRO can change the way that your contact form is being processed. We can make it so that rather than your form getting sent by slow over negotiated email, the data is sent to you via text message. This will give you the option of engaging with your customer on the spot, or at the least, letting your auto responder send them a quick personalized message back to your website, so that they know you will be reaching out to them as soon as possible. How’s that for a new twist on an old form? Testing 1-2-3. Check your website out at least once a month. Play with your links and test your forms. It costs you nothing and you never know if and when something can break. So pretend you are a customer and try to contact yourself. Browsers change, hardware changes all of this can have an effect on your website. It’s technology. It’s never going to be perfect! Take some responsibility for it and subject it to regular testing. Update your information Do you have multiple email accounts? You might want to do an audit and clean those up. Maybe you have one for your website and one for your data provider, one for social media and one for an ad portal. You shouldn’t. Get those cleaned up. And make sure you visit your affiliate sites and double check those too. How many of you have a corporate email address listed on your broker’s portal that you have no idea how to check? Not good. Clean it up and keep it consistent and regularly audit the data you have out there! People are getting frustrated and giving you a bad name when they can’t reach you through one of the 5 email accounts you have out there. The same goes for old phone numbers and mobile numbers.